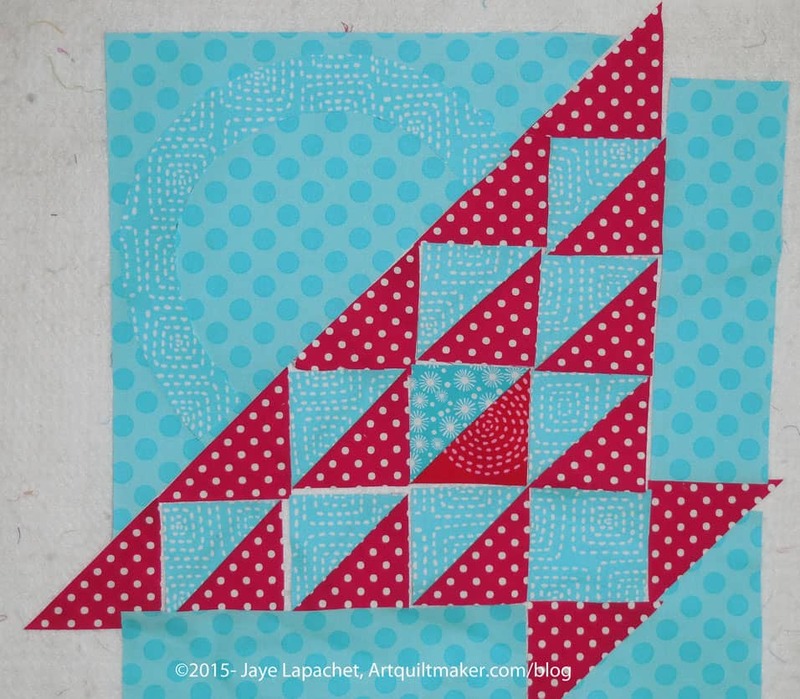 The Flower Basket block is the next block in our Sampler Quilt Class. This is a three part tutorial, so be sure to come back for the next parts. These directions are for machine sewing your Flower Basket and include a little applique’, which can be done by machine or hand. These directions use a quarter inch seam allowance. Check your seam allowance before you begin. 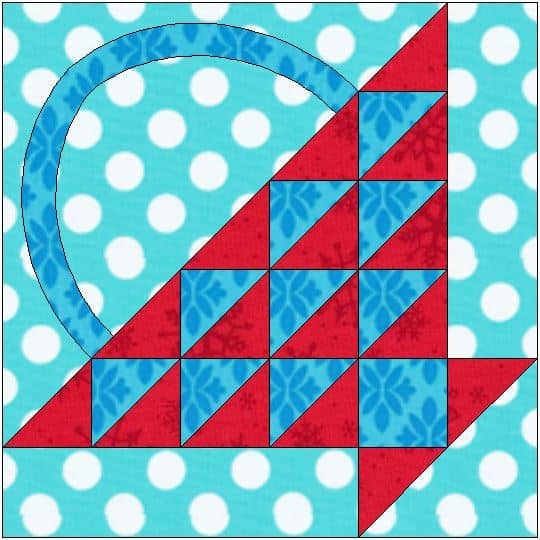 If you don’t know how to do that, there are resources available, including one from Connecting Threads and from Craftsy. Search the web for others. You really only a need a template for the basket handle. 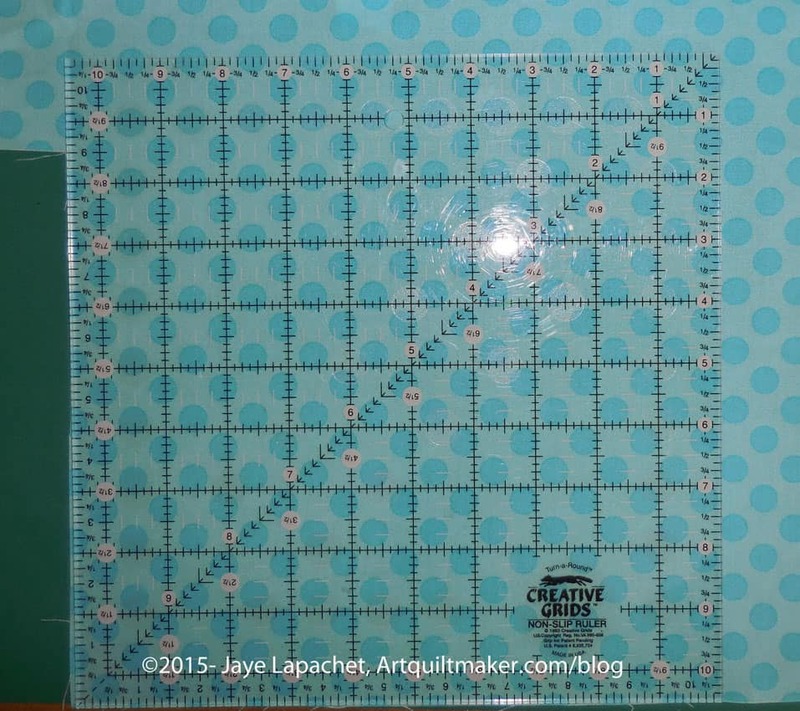 If you are using templates for all of your pieces, then prepare all the templates for pieces in the patterns as directed below. Prepare pattern for your basket handle template by printing two copies of the pattern. 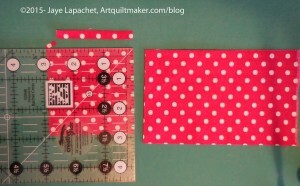 I prefer to do this first so when I get into the throes of sewing I don’t have to stop and fiddle around with templates. You will eventually place one copy of the pattern in your binder, but keep it handy so you can use it as reference. Nota bene: You probably know how to make templates. However, I am including a quick refresher. Rough cut* the handle pattern out of the second printout. 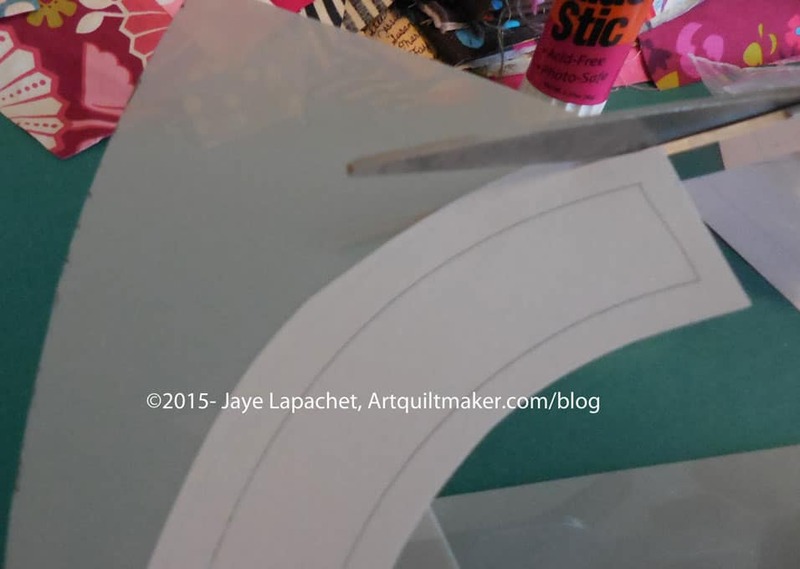 Glue the paper pattern (with seam allowances) using the glue stick to the template plastic. 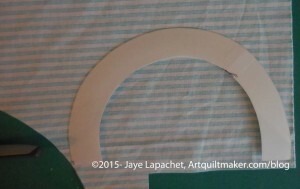 It is okay to use scraps of template plastic. Put a piece of tape on seam lines to keep the joins stiff. Fine cut** the paper pattern and template plastic you have adhered so you have an accurate template, cutting off any seam allowance that may have printed. 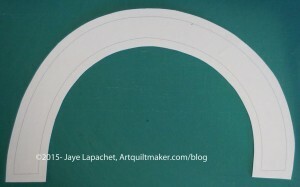 If you plan to machine sew the handle, prepare another basket handle template, in the same manner, without seam allowance. Gather your fabric and press it all. 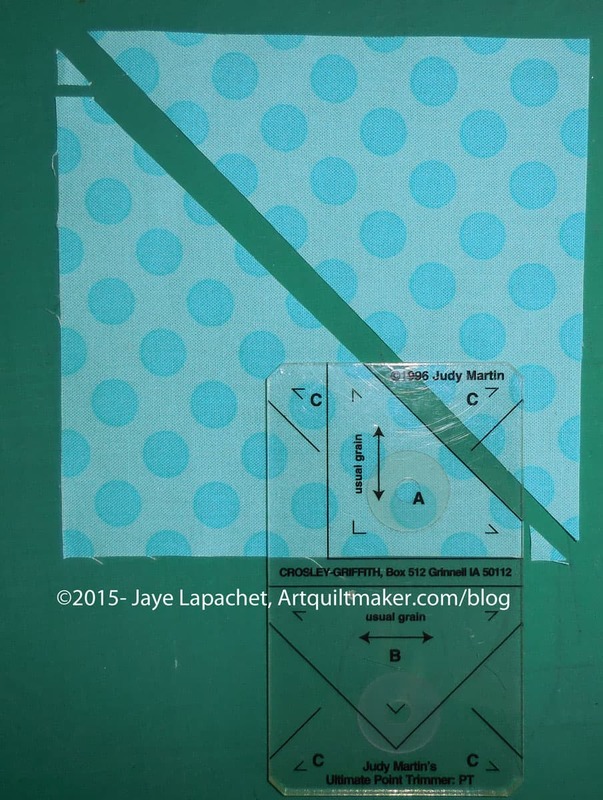 Rough cut some pieces and press them with Mary Ellen’s Best Press to help deal with the bias. Treat the large background triangle and the basket handle in the same manner. In my example basket, above (same as at the beginning of the post), this fabric is the medium blue. 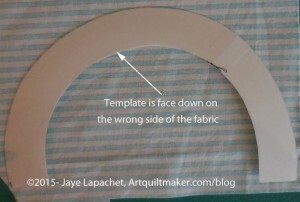 Place fabric large enough for your basket handle wrong side up on your table or cutting mat. Place your handle template right side down on the wrong side of the fabric. Trace around the template carefully with your Pigma pen. Trace carefully without pulling or tugging at the fabric. You will be dealing with some bias on the curves. You will need to carefully move your hand along the template to keep it in place while you trace. Use the Pigma pen with a light touch. 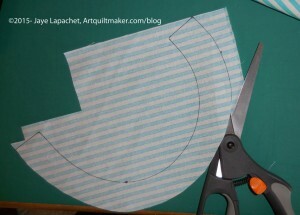 Using your fabric scissors, cut around the traced image, cutting the drawn line off. 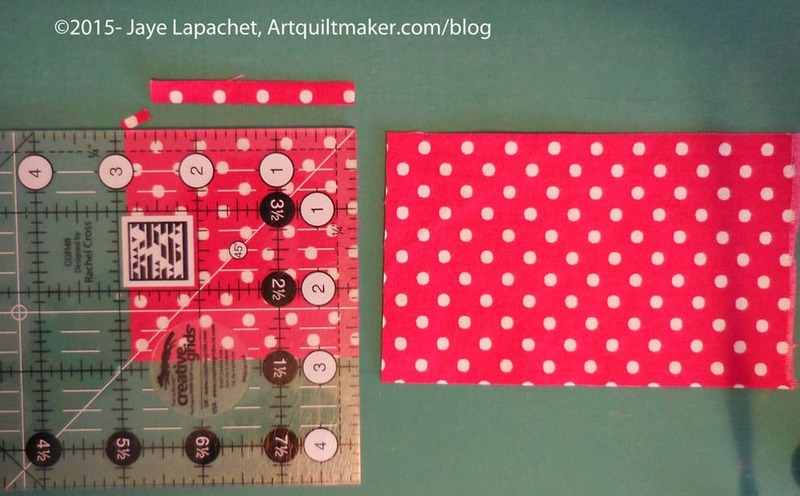 If you are using a template with no seam allowance, leave approximately a quarter inch seam allowance on all sides. 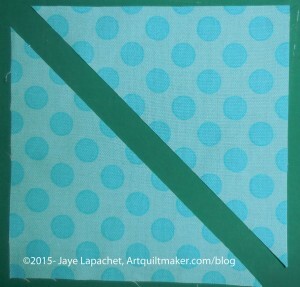 In my example, above, this fabric is the blue Michael Miller Ta Dot with white dots. 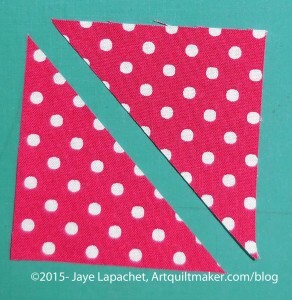 Measure the template for the large triangle of background fabric. It should be 10″ on each of the outside edges WITH seam allowance. 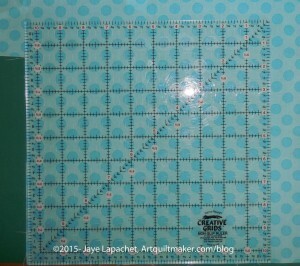 Cut a square 10.5″ x 10.5″. You can trim it later. Better safe than sorry. Press the square with Mary Ellen’s Best Press. 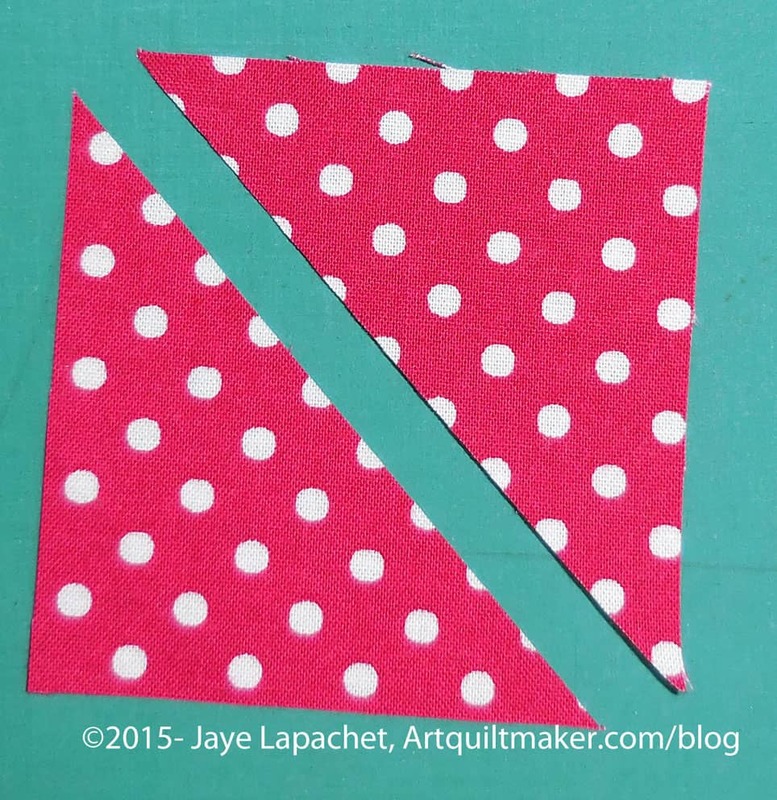 Cut the square in half along the diagonal. 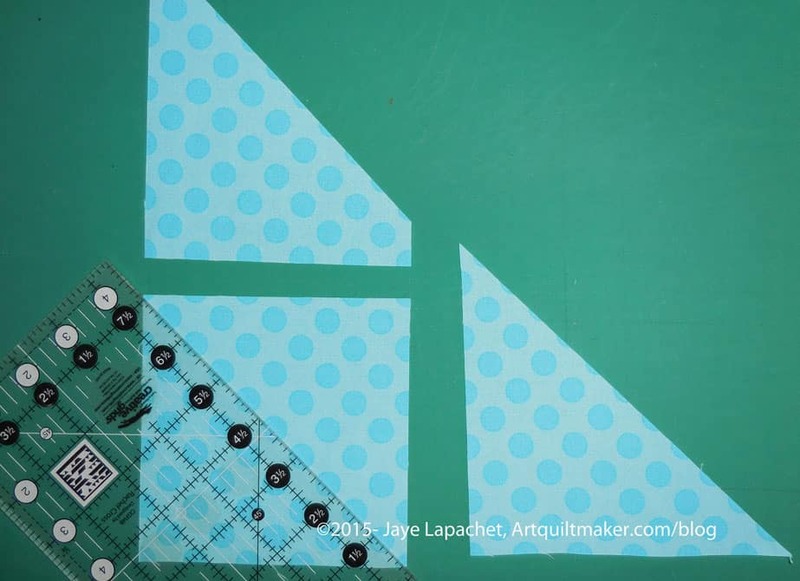 You can cut some of the background pieces out of the leftover triangles. The foreground fabric is used for the basket. You will need at least two fabrics for this part. 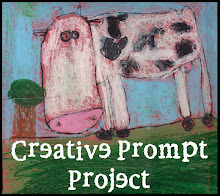 In my example I am using a scarlet red and a medium blue. See picture above for placement of foreground fabrics. For the HSTs, you will need 2 squares from different fabrics, according to the HST Size Chart, 6.25″ x 6.25″. Cut 4 squares 2 7/8 in. by 2 7/8 in. 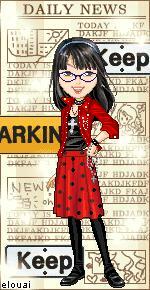 the second background fabric (red in my project). Cut in half. These are the base and top line of your flower basket. You should now have all of your pieces cut. 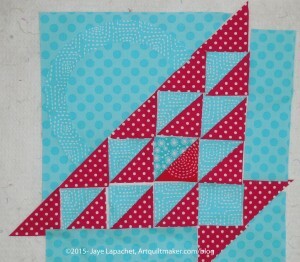 Look for the next part of the tutorial on sewing the block together. It will be available tomorrow. 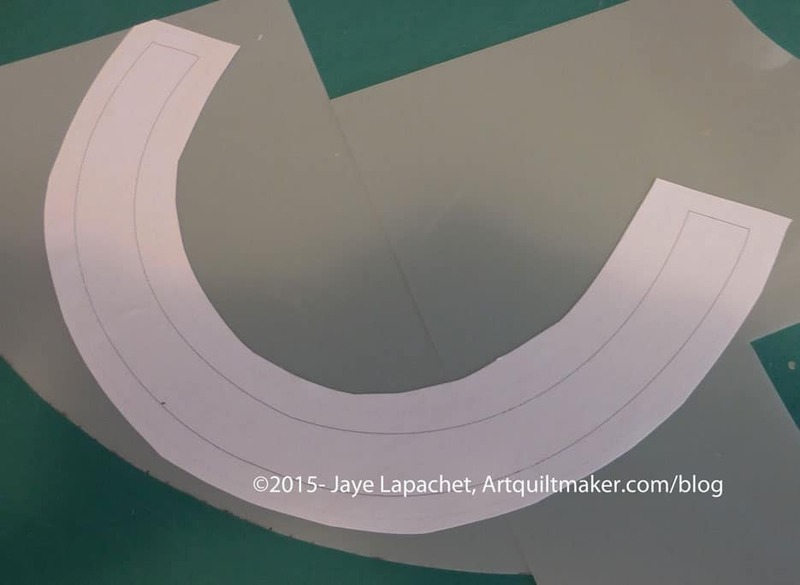 * Rough cut means that you cut around the outside line and a little away from it, leaving some extra paper. 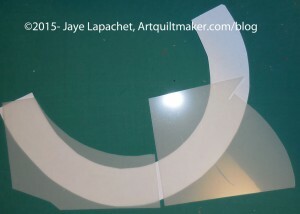 This helps to position the template properly and eventually cut it accurately. ** Fine cut means that you cut the template out very exactly and carefully getting rid of any extra paper and template material used when you rough cut. This is the shape you will use to cut your fabric so prepare this step with care.